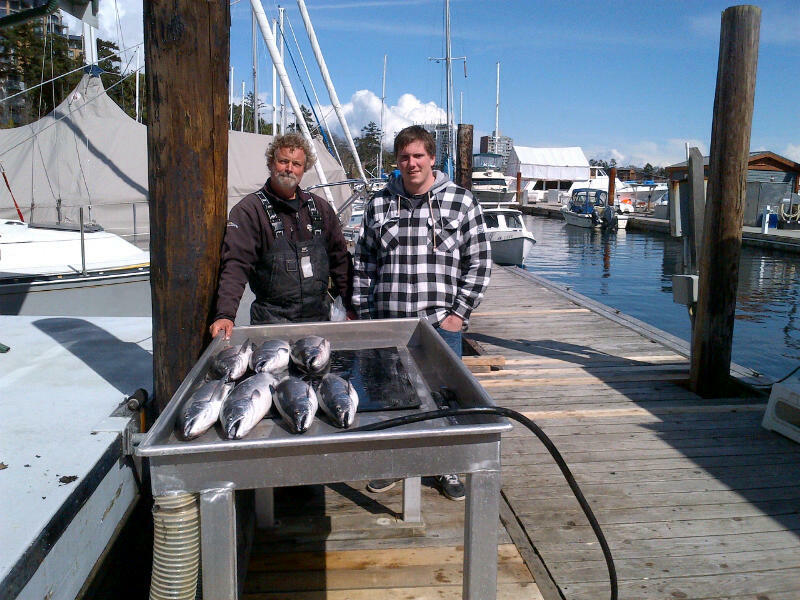 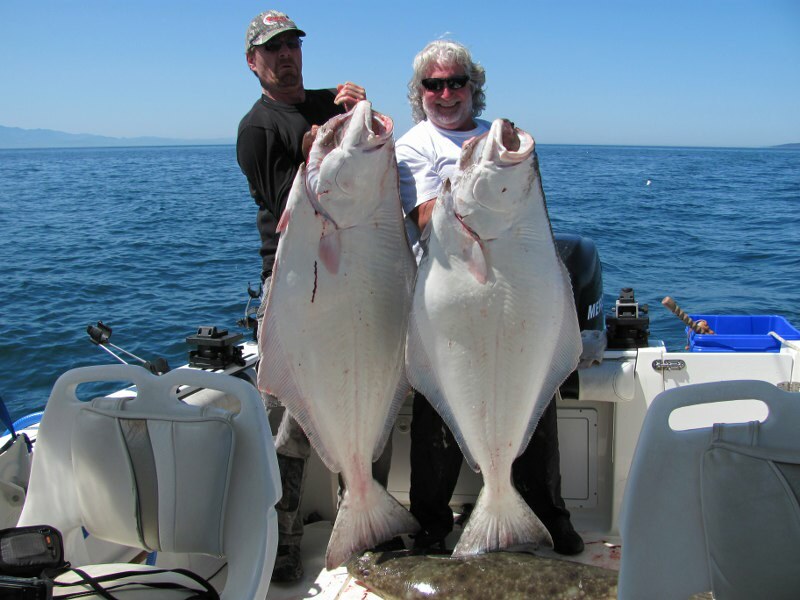 There's been some nice salmon catches reported lately, but mostly everyone has been focused on halibut. 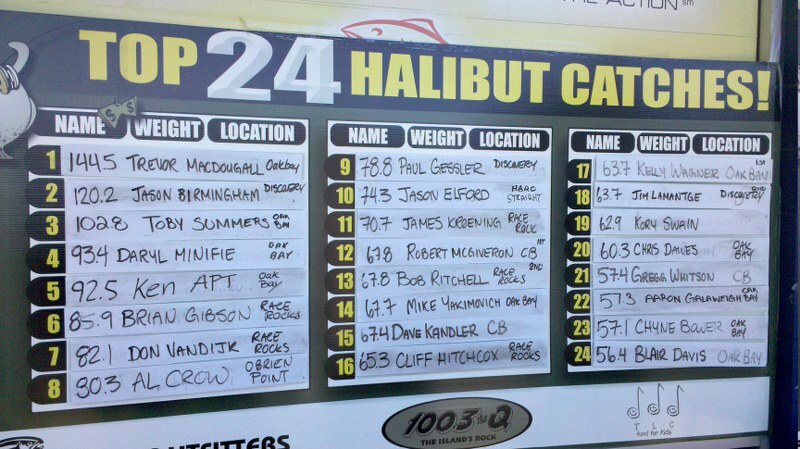 Last weekend was Island Outfitters' Just for the Halibut Derby. They could not have ordered better weather, dead calms seas, hottest weekend of the year, and good halibut tides. 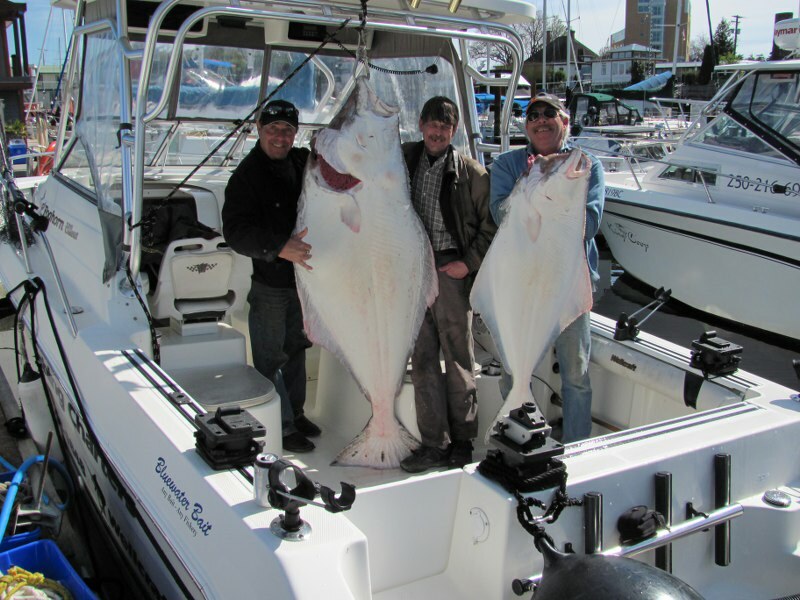 Seems just about everyone went home with a fish. 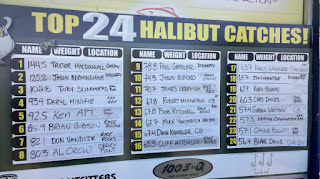 A 144 pounder won it, with a 142 weighed in last minute coming in a close second. 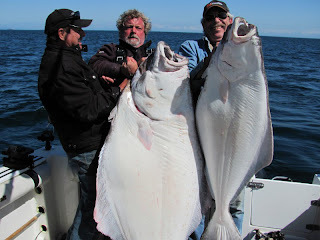 Gord from Foghorn Fishing Charters sent in a report "it was the best weather in derby history, here is a pic of Don & Cliff with their 2 biggest for the weekend 85-65lbs. They have been fishing the derby with me for 11years now. Salmon fishing is good, though seals are a big problem, but we are getting some past them". 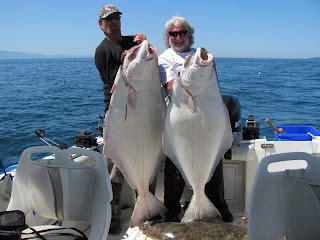 Gord also included a few nice photos from a couple of weeks ago....those are 150 and 60 pound halibut, a derby winner if caught on the right day.